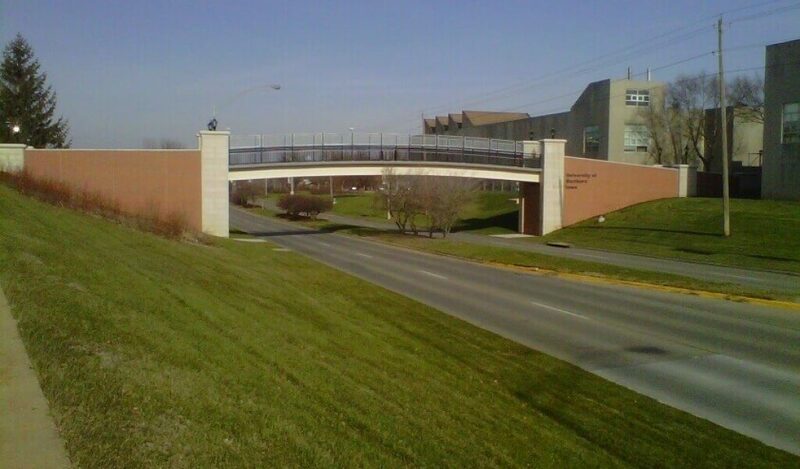 Snyder & Associates and subsidiary Shuck-Britson provided structural design services on the rehabilitation of a 90 by 11-foot steel beam pedestrian bridge for the University of Northern Iowa. The project included removal of a deteriorated canopy, rails, and lighting. Structural improvements to the footings were completed to expand the capacity of the structure. 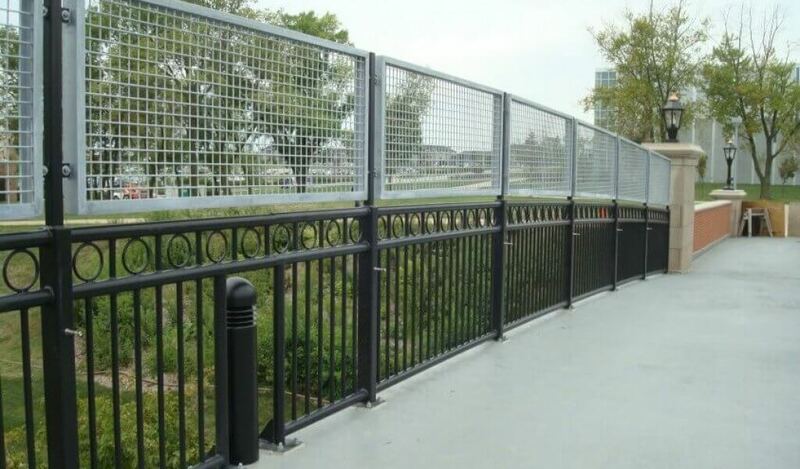 Aesthetic improvements included brick and limestone treatment, decorative steel railing, galvanized safety railing, handrails, and decorative lighting. Other improvements included deck repair, deck coating, and new expansion joints. Sub-consultants on the project included West Plains Engineering for lighting design and The Design Group for architectural design along with stone and handrail detailing. The project was funded by the Iowa Department of Transportation Park and Institutional Roads program. Snyder & Associates prepared documents to meet Iowa DOT specifications and coordinated design review with the City of Cedar Falls. The project was constructed under a tight schedule during the summer of 2012 and was completed in time for the opening UNI football game. The project included a change order amount equal to less than 1 percent of construction costs.